Peter Kozodoy is an author, keynote speaker, serial Inc.5000 entrepreneur and the Partner & Chief Strategy Officer of GEM Advertising. His articles on business, leadership and entrepreneurship regularly appear in Inc., Forbes, The Huffington Post and more. 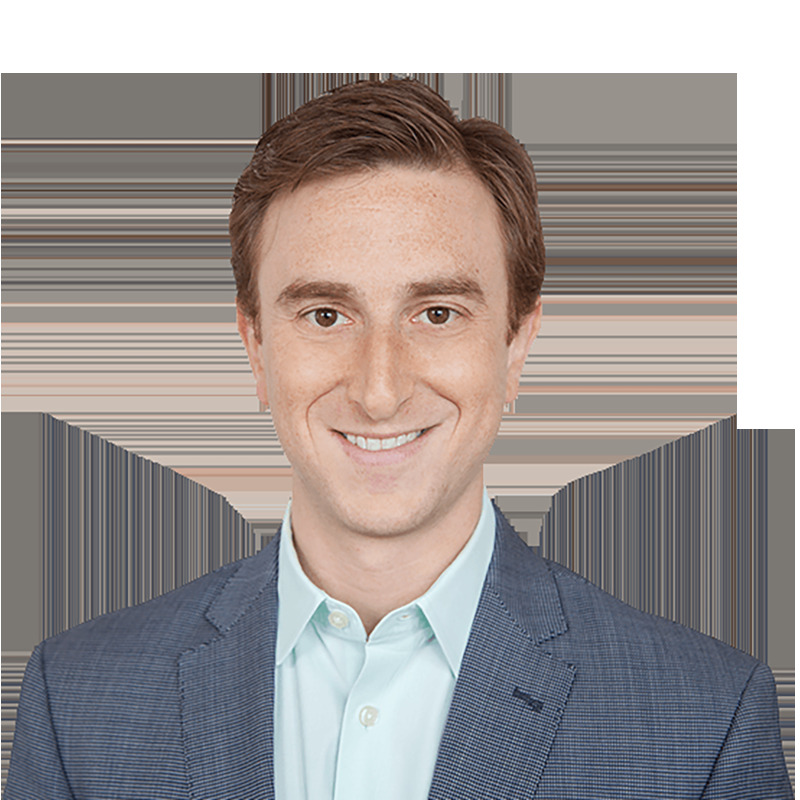 His work at GEM has been featured in CNBC, Yahoo!, Bloomberg, Reuters and MarketWatch, and has earned him Telly, Pixie, Communicator, Aurora, Davey and W3 awards. Peter has spoken at Microsoft, the US Department of Commerce, CEO Clubs of America, Digital Book World and other organizations on topics including the Millennial mindset and the power of honesty in achieving both personal and professional success. Peter’s largest business was named to the 2017 and 2018 Inc. 5000 list of fastest-growing private companies in America. He is also a member of both Entrepreneur’s Organization (New York Chapter) and the Young Entrepreneur Council. Peter is a Phi Beta Kappa with a B.A. in Economics from Brandeis University and an MBA from Columbia Business School. When you break your arm and you need a doctor, would you rather have a primary care physician fix your arm, or a specialist surgeon? Today, everyone is looking to get the very best in their products and services, and that starts with you, the leader. But how do you develop your authority expertise to let people know that YOU are the go-to expert for their needs? This community will show you how to position yourself as the expert, create killer social media profiles and produce content that gets picked up by major publications. You'll discover all the tips, tricks and shortcuts in developing your influential personal brand to expand your reach and increase sales. ...aspiring leaders who want to build an influential personal brand, get to be known as an authority expert online and in social media, and get published in some of today's most well-known publications. This knowledge is perfect for entrepreneurs, business executives, sales and marketing leaders and others who want to become known as the go-to expert in their field. 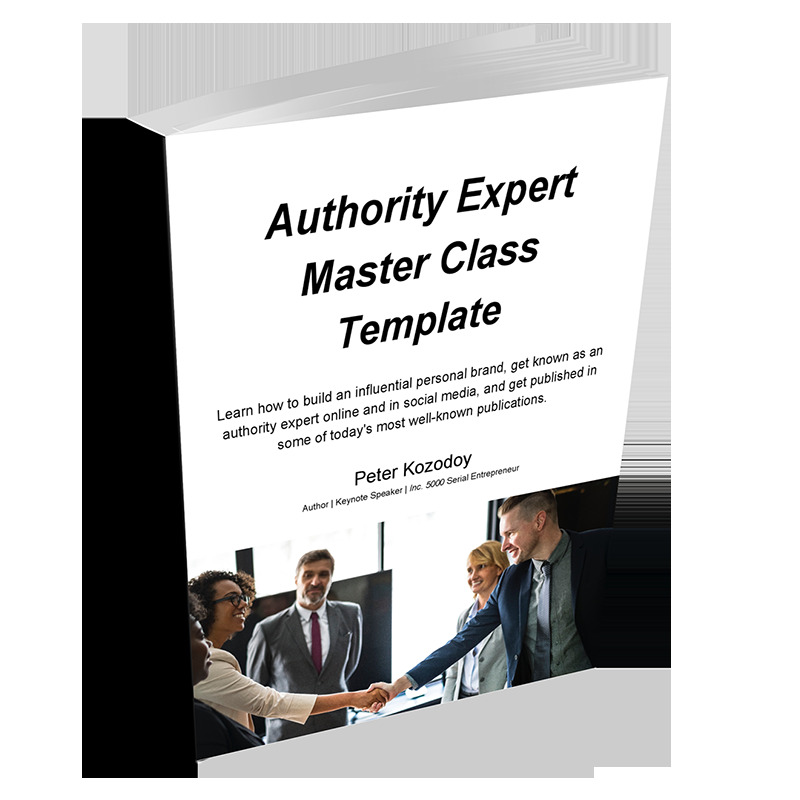 3 hours of replay videos taped from a live Master Class, with personal instruction by Peter Kozodoy who will walk you through how to position yourself as an authority expert, plus the Authority Expert Workbook with the questions you need to develop your authority expertise. Plus, you'll get a bonus replay video by the Founder of Ask A Millionaire and massive Instagram Influencer, Shawn Thomas, who does a special session just on using Instagram to build authority and create business leads. Access to this course and online community is a one-time fee of $245US per person. This subscription gives you unlimited access to the content now available. Included is the workbook on how to build an influential personal brand, get to known as an authority expert online and in social media, and get published in some of today's most well-known publications. Want to learn more about this course "Creating an Influential Personal Brand" with Peter Kozodoy? Have questions? Would you like private access for your company, organization or association? Book a one-on-one or group coaching session, or hire the coach to virtually present at your meeting or conference? Reach out and we will connect with you shortly. This is your opportunity to get a question answered directly by experienced experts, coaches and thought leaders. Submit your question for Peter Kozodoy and he will respond to you with an answer. "My testimonial for Peter's class is: Absolutely do it. If you're on the fence about it, take that jump -- it's absolutely changed my entire life, from my thinking to my habits to the choices that I make every single day." "The amount of information is jam-packed in each one of these classes, and it's absolutely invaluable information. I highly recommend it -- definitely worth the time and money invested." "If you have the opportunity to take one of these classes, you should absolutely jump on it. The amount of information you get from this class is incredible, well worth the investment and I learned a TON -- not only about my company, but about myself as well."